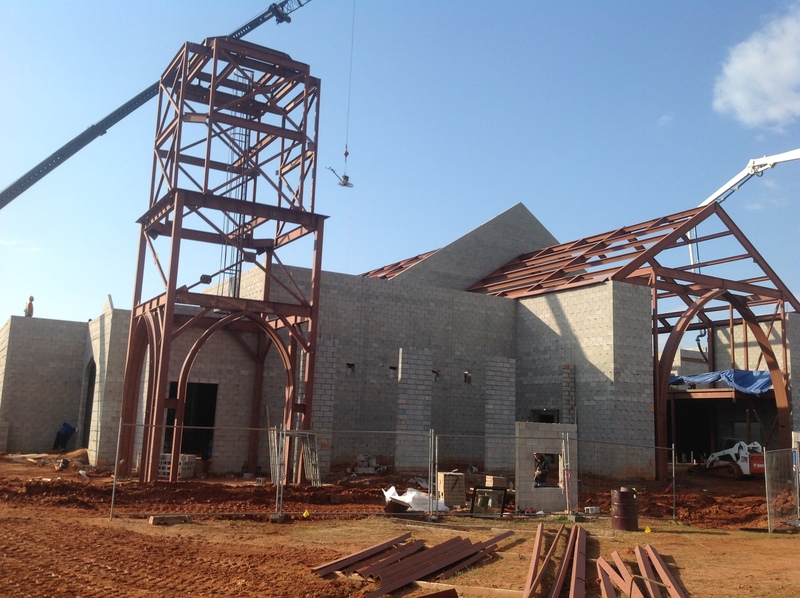 St. Teresa of Avila Catholic Church at Grovetown, GA.
St. Teresa's was commissioned as a traditional cruciform style Catholic Church. 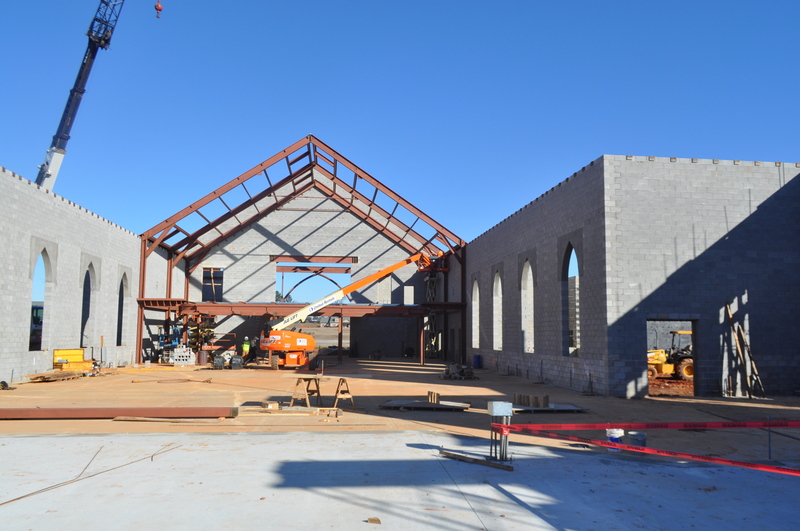 The church includes all of the traditional features of a Catholic Church, but was constructed with modern materials and techniques. 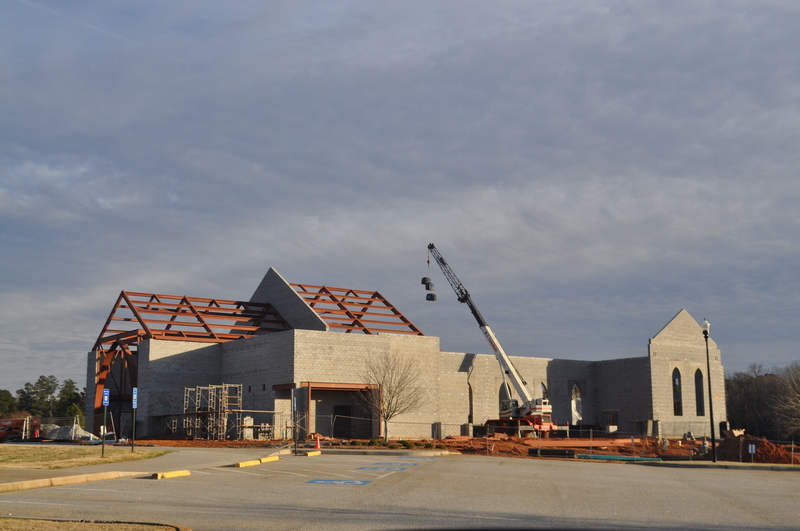 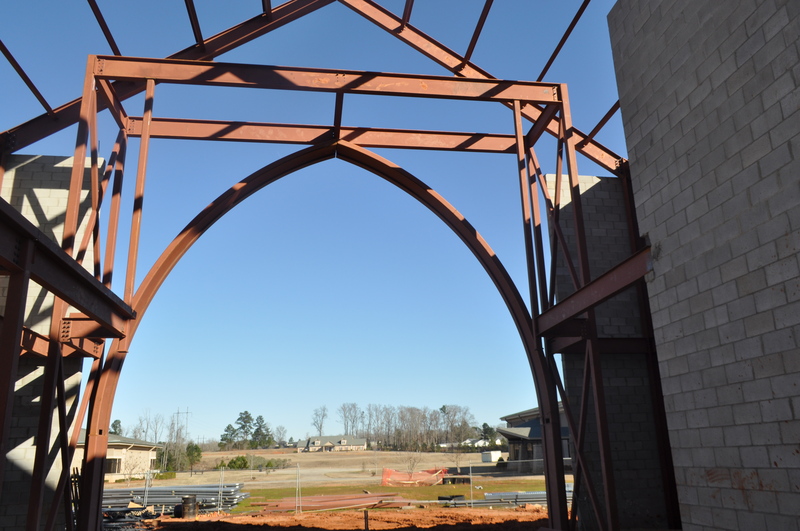 The narthex, nave and sanctuary ceiling/roof are supported on a series of steel rigid frames that are clad in finish materials. 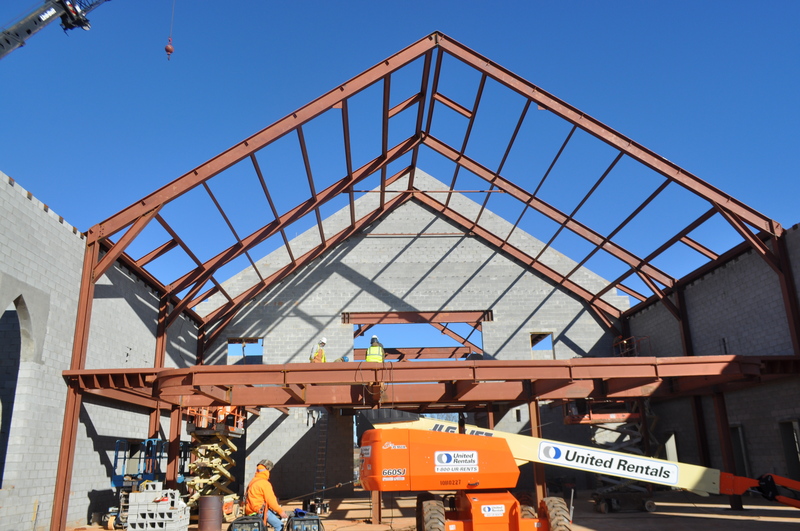 Steel roof purlins span between the frames and support the roof deck. 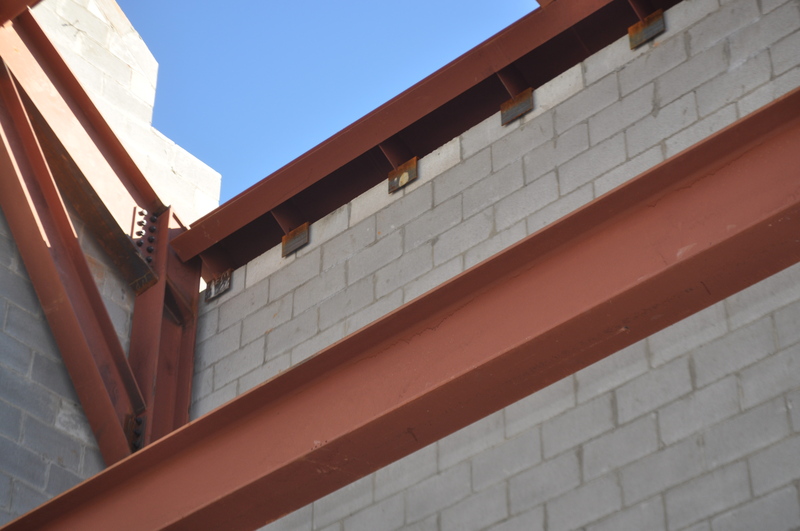 Concrete masonry unit walls provide infill between the rigid frames. 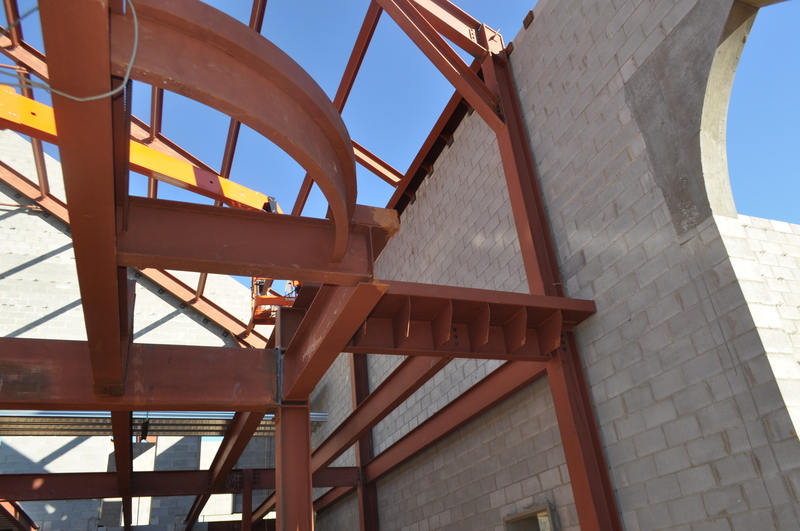 The balcony and second floor is framed using structural steel composite members. 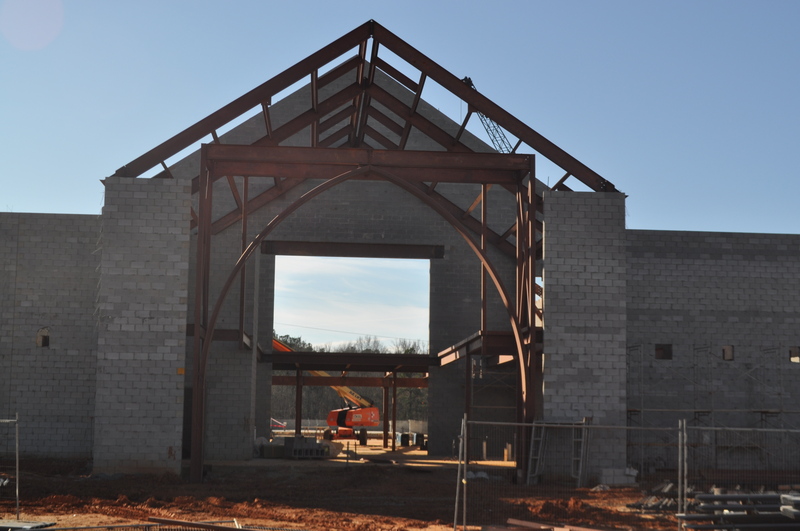 Floor framing is supported by either steel columns or load bearing masonry. 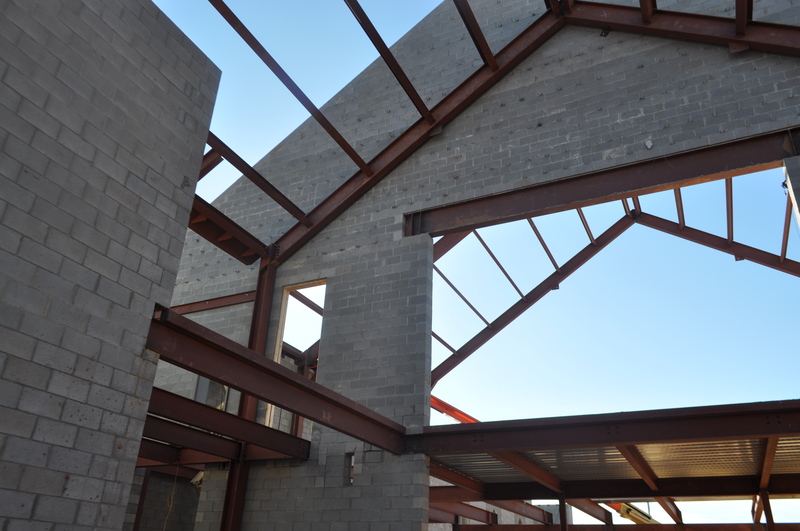 All low/flat roofs are framed with bar joists, again supported on load bearing masonry. 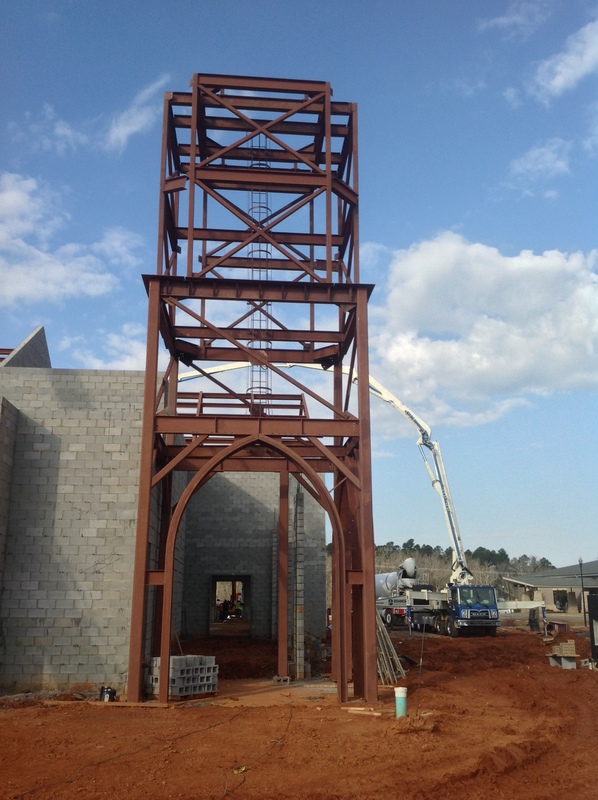 The bell tower located adjacent to the church is a structural steel frame with light gauge infill framing. 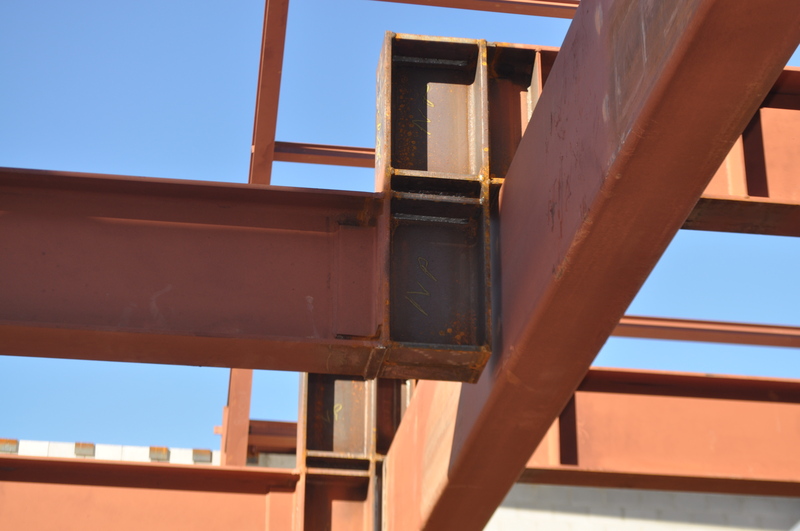 The entire complex is supported on a reinforced concrete shallow foundation.